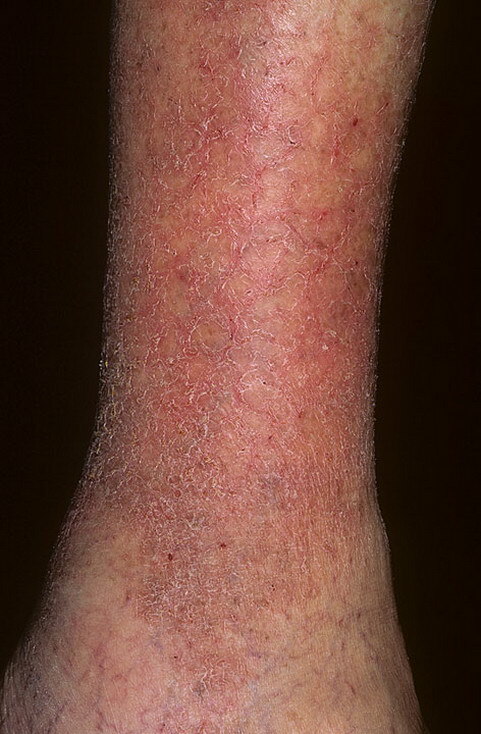 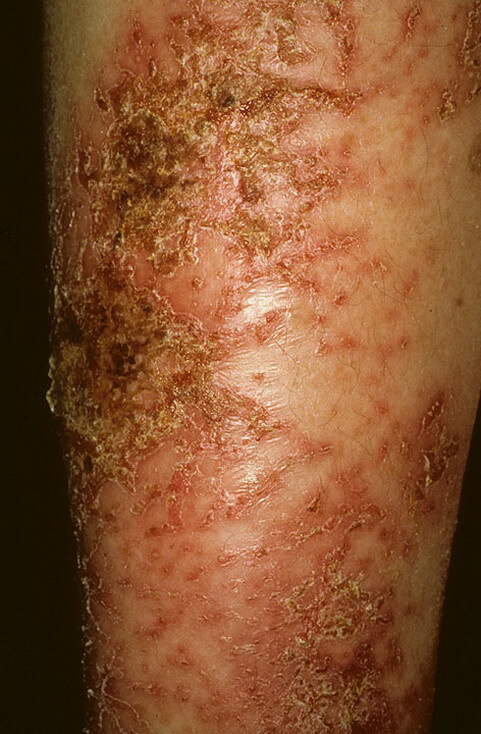 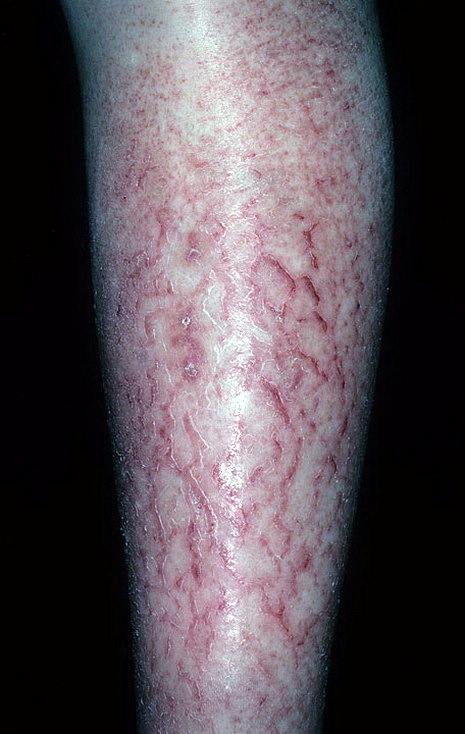 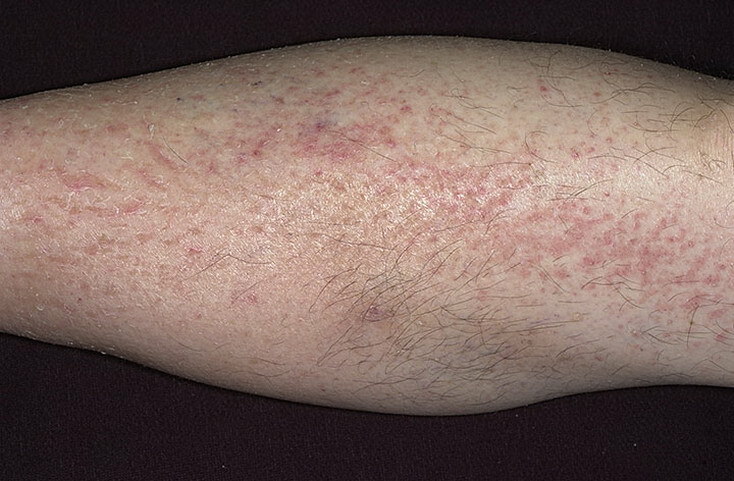 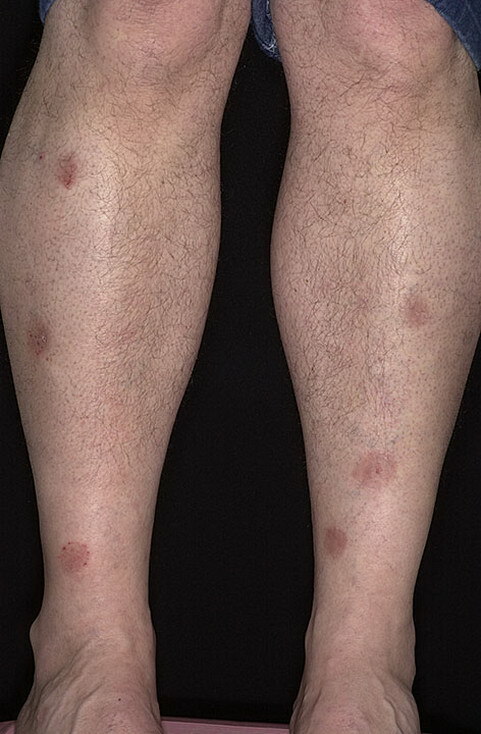 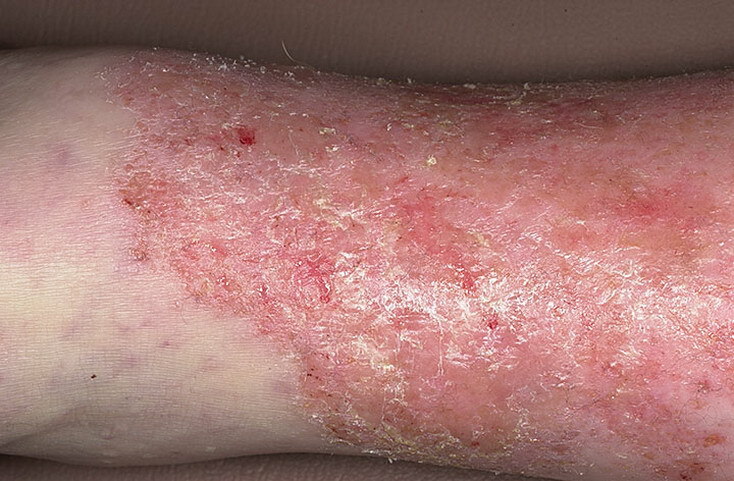 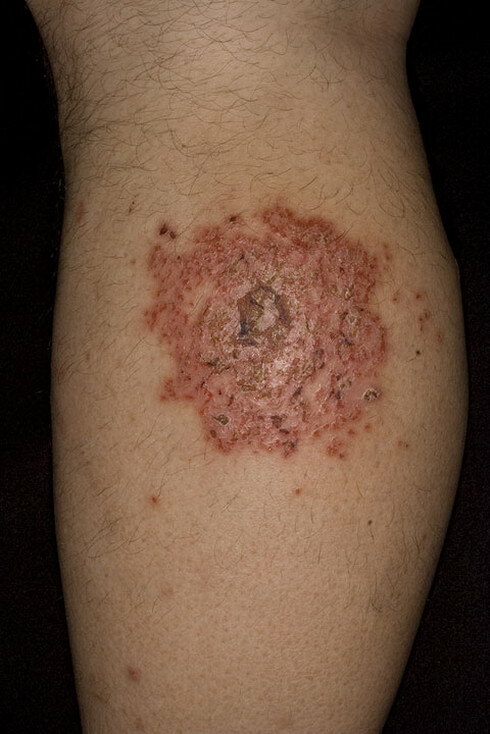 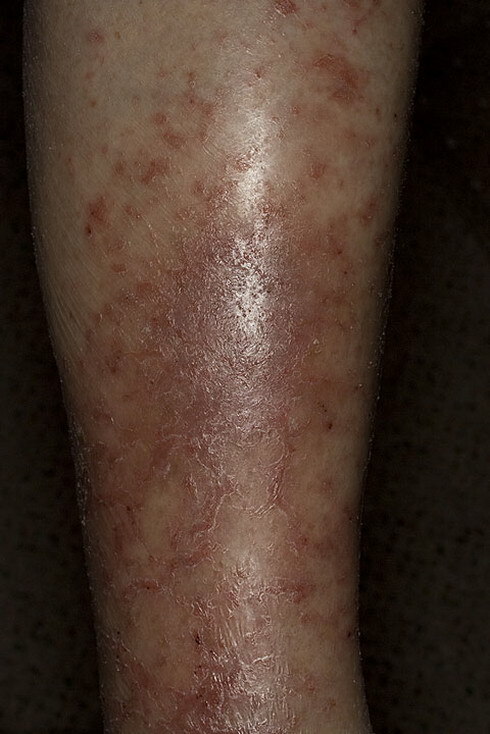 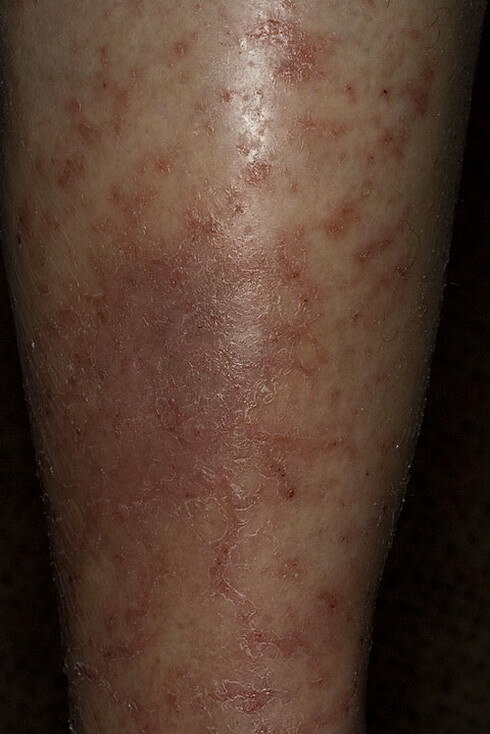 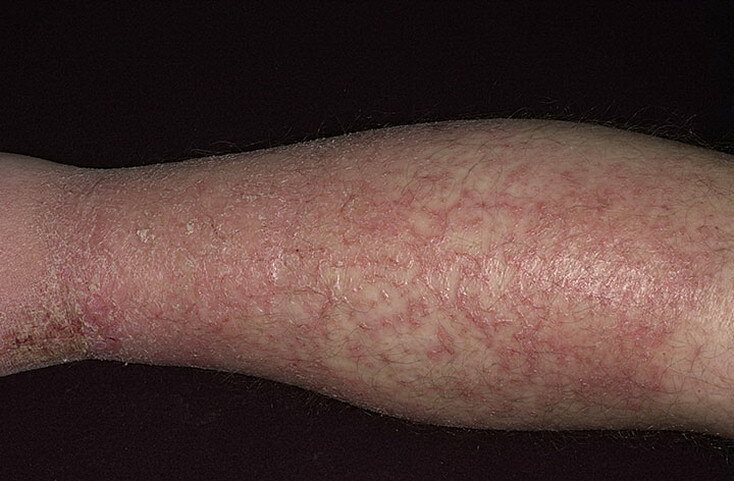 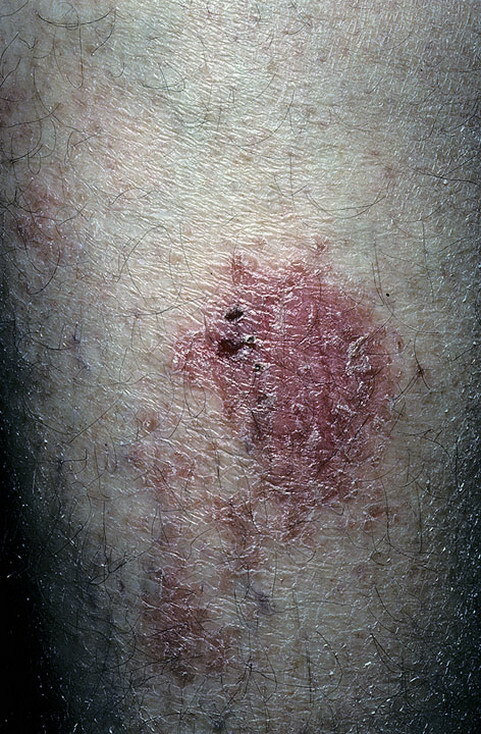 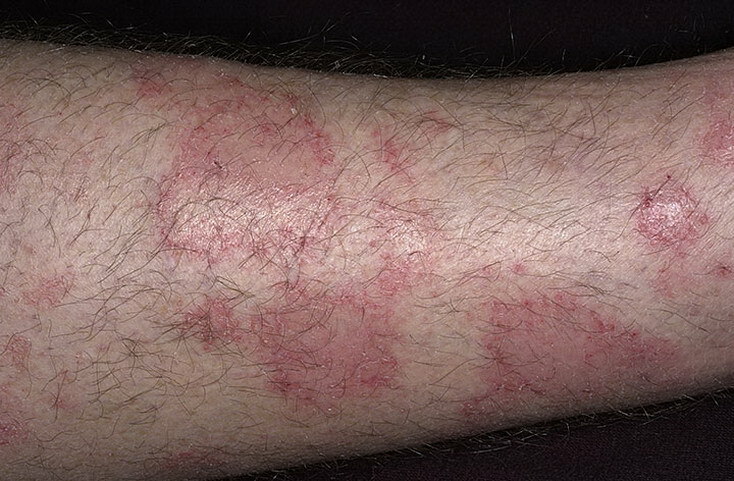 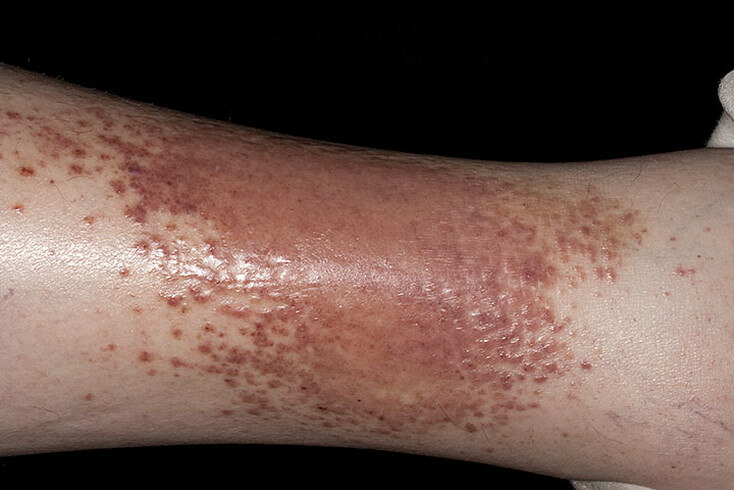 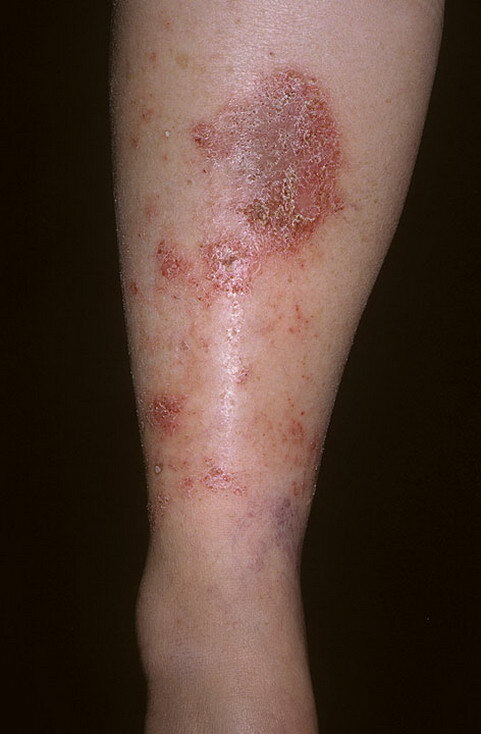 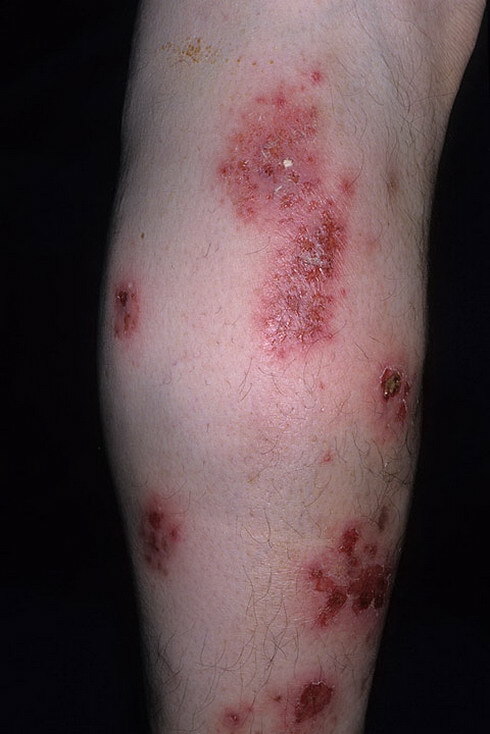 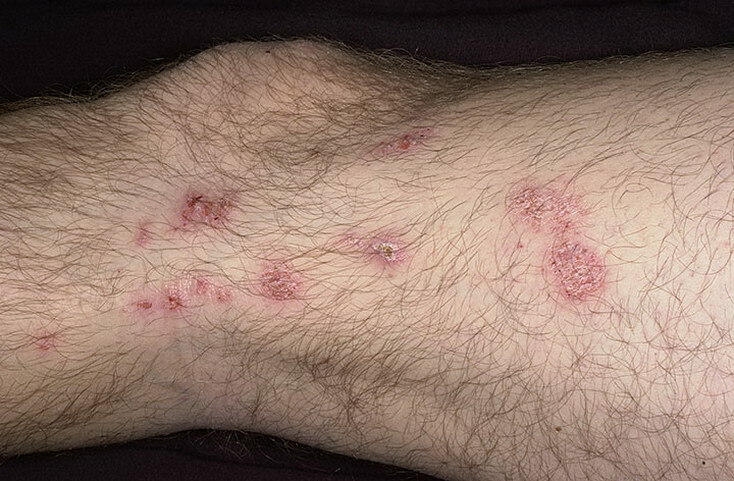 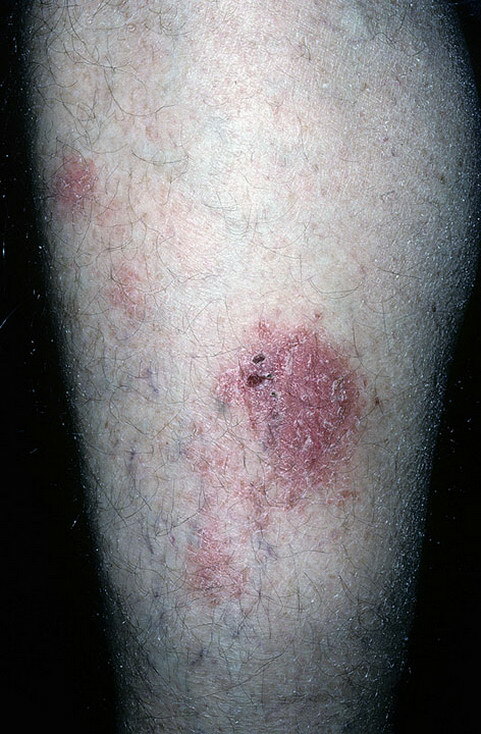 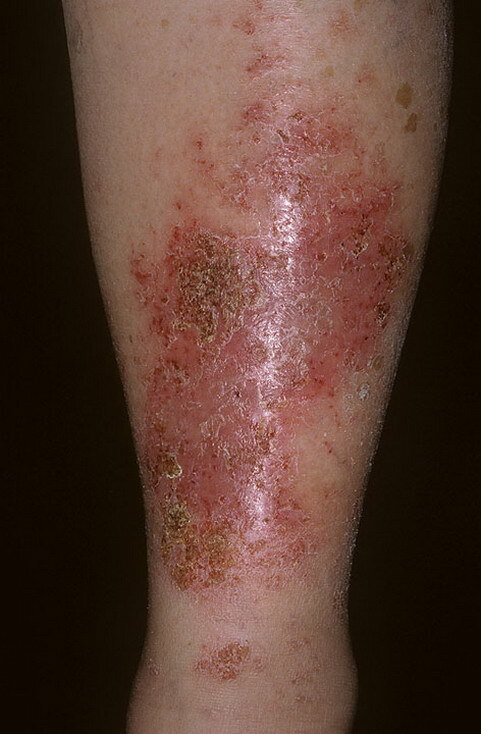 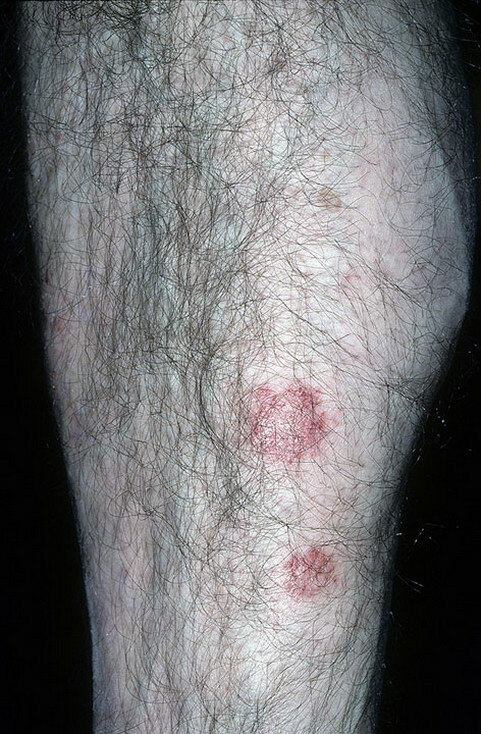 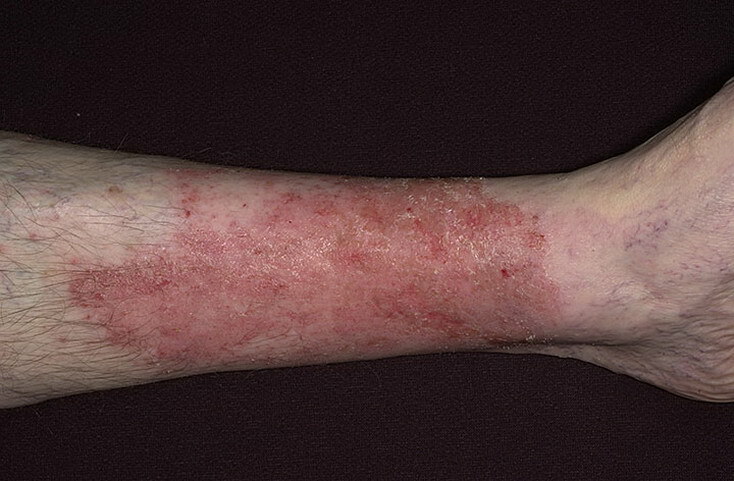 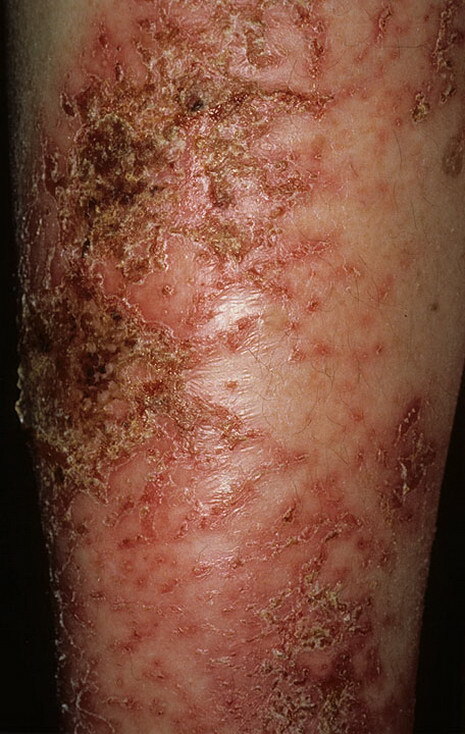 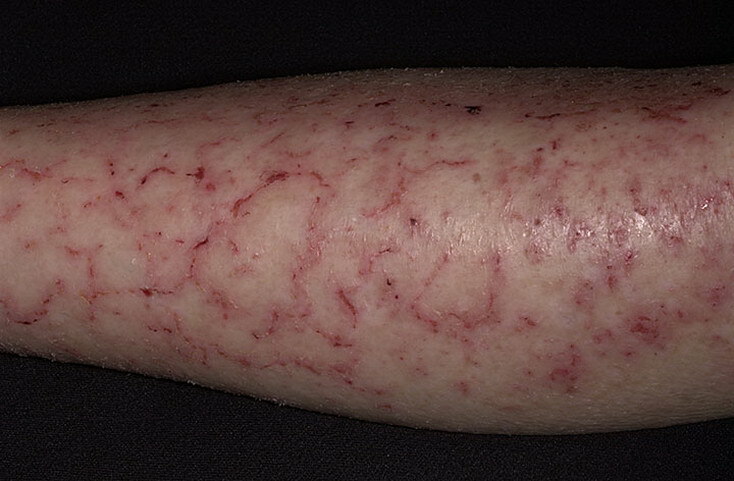 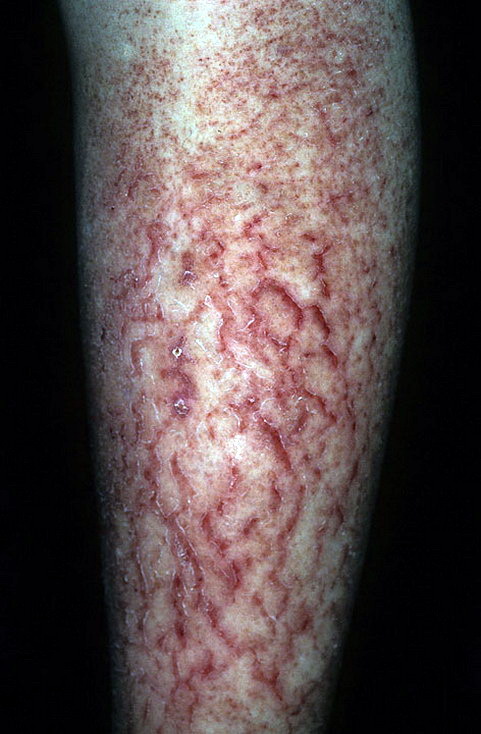 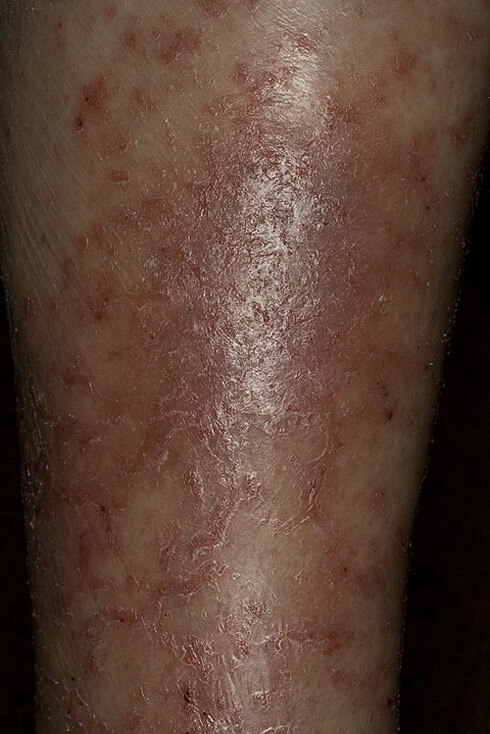 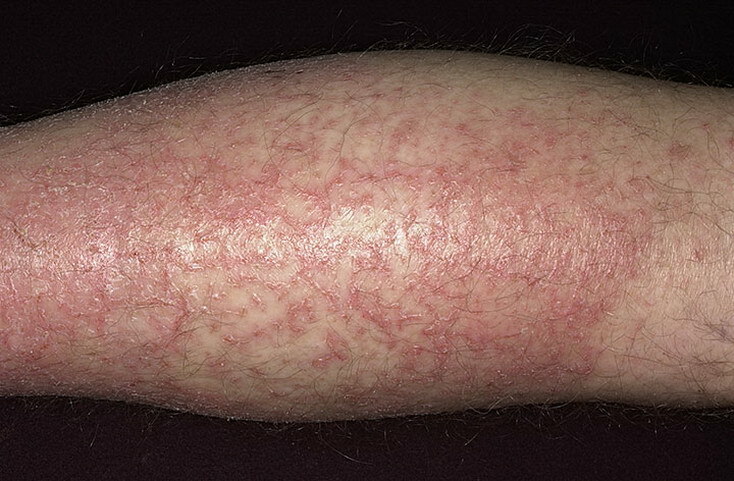 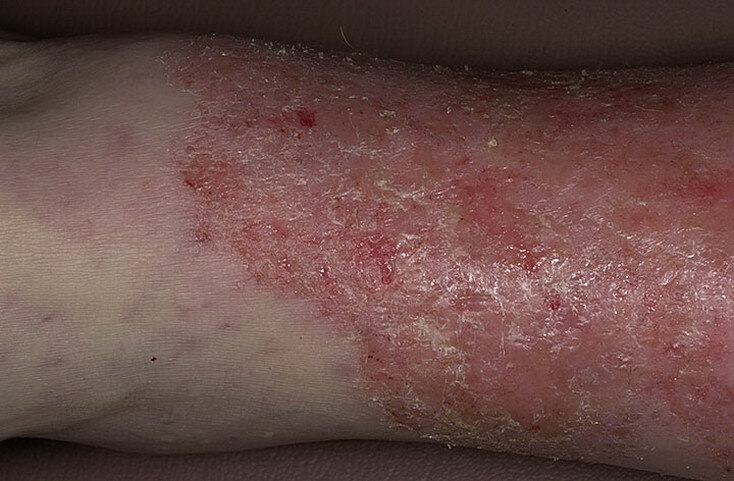 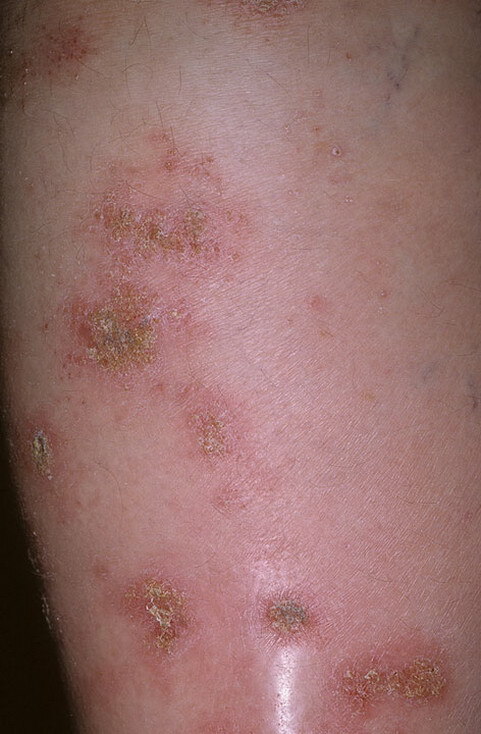 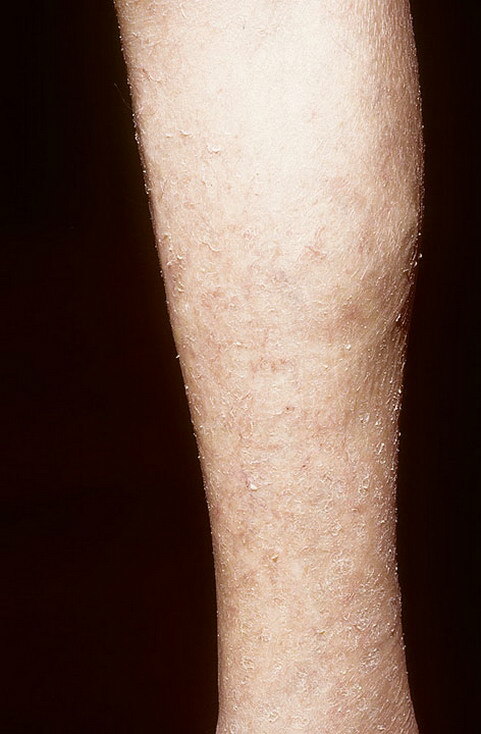 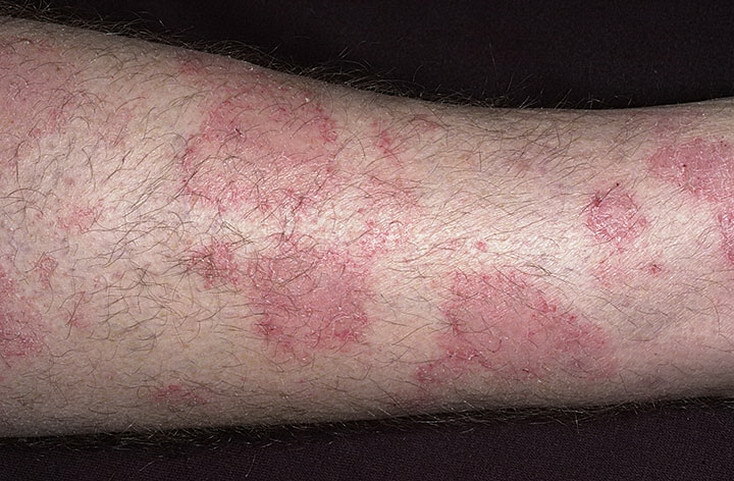 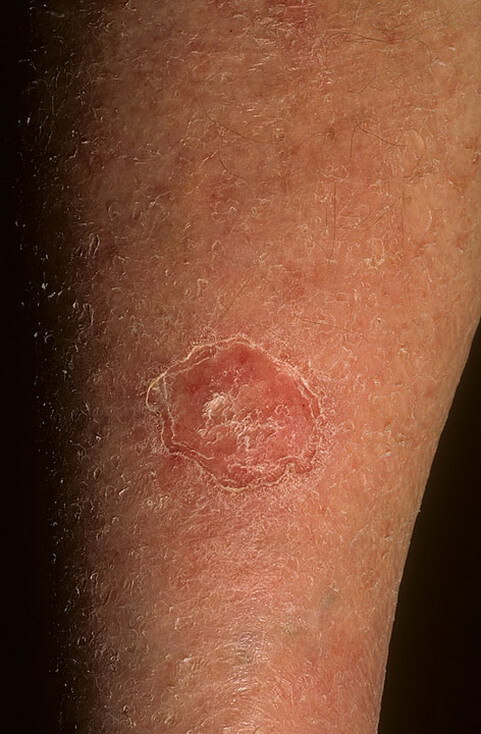 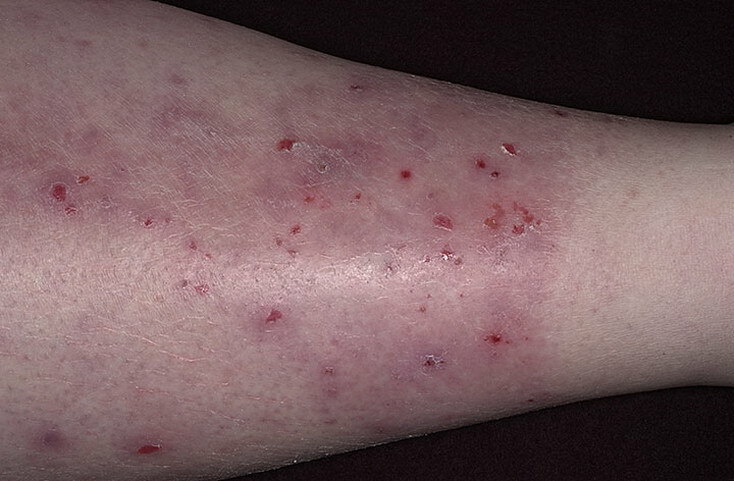 Most often, a rash affecting the lower legs is a type of dermatitis. 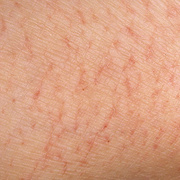 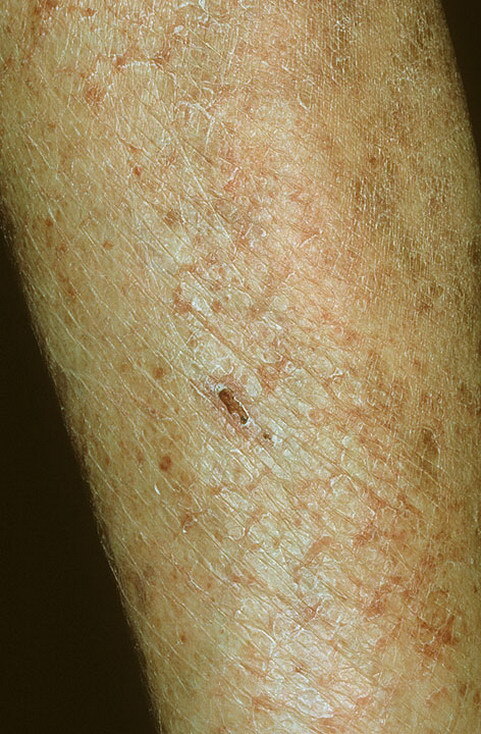 The terms ‘dermatitis’ and ‘eczema’ are often used interchangeably. 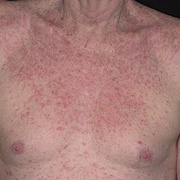 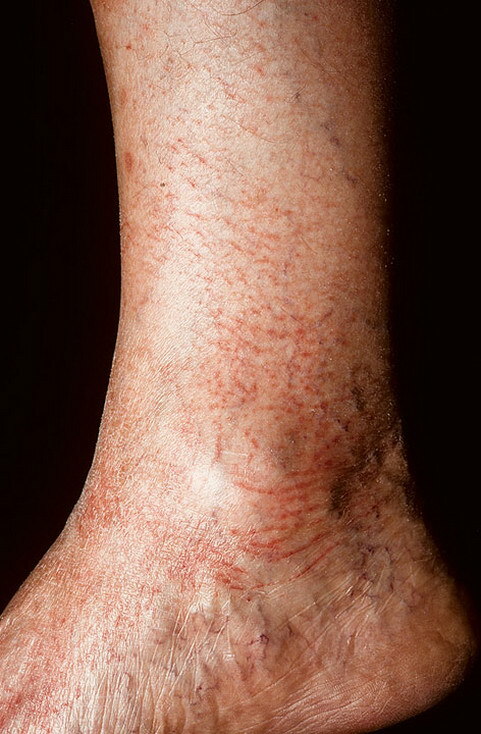 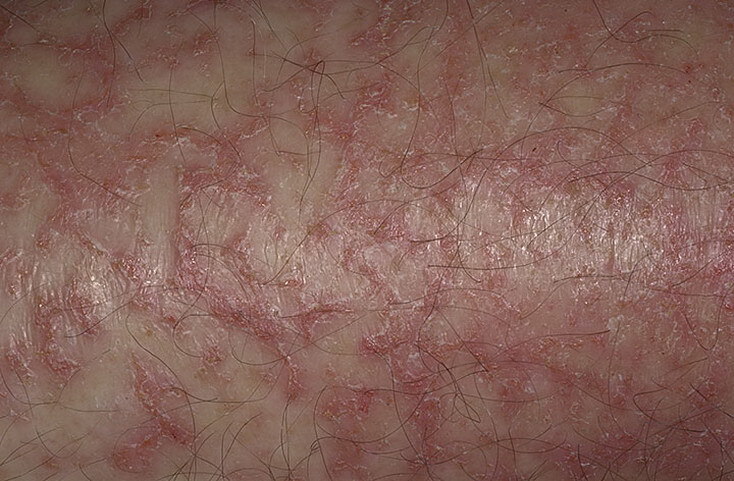 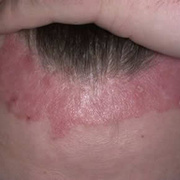 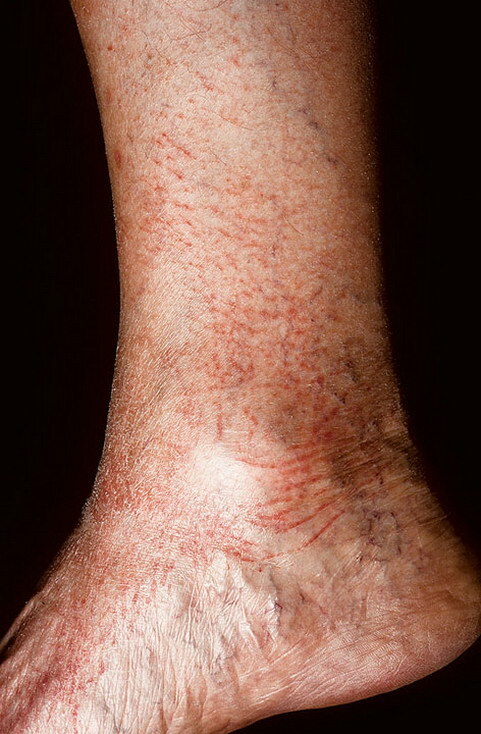 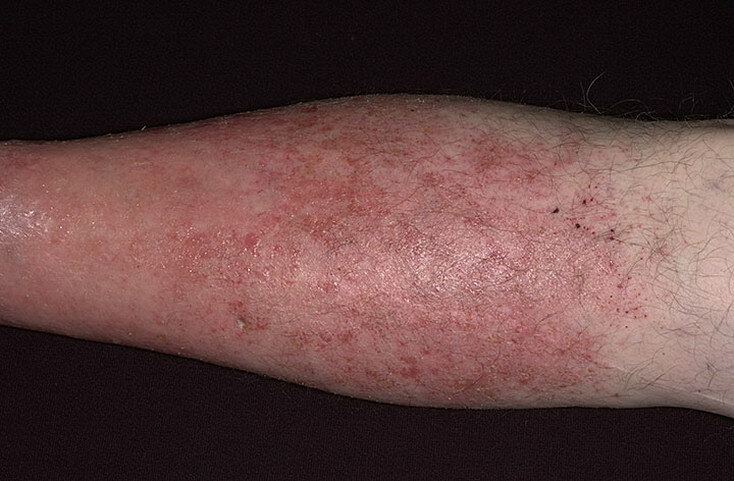 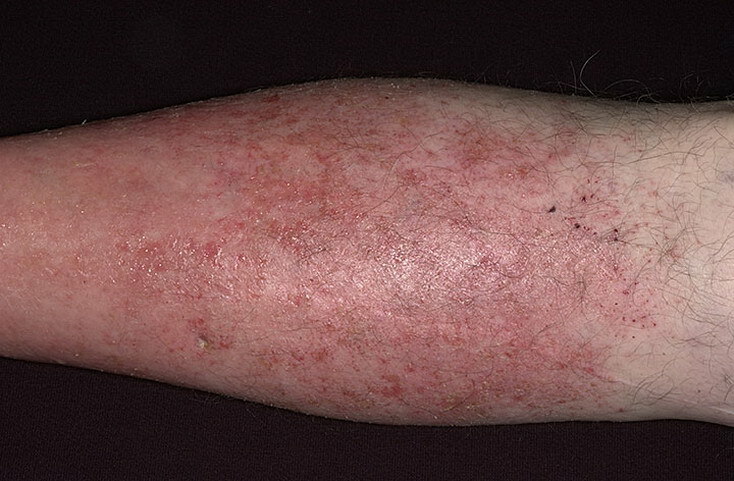 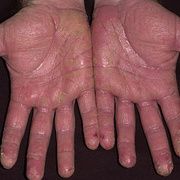 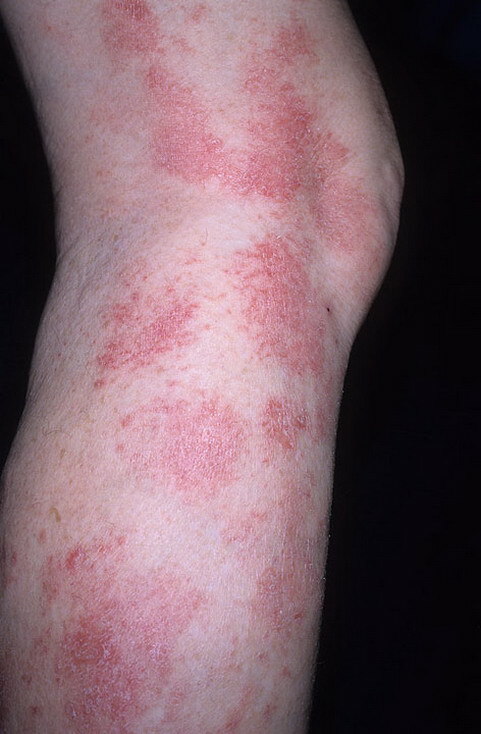 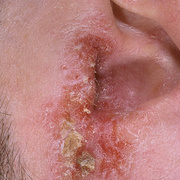 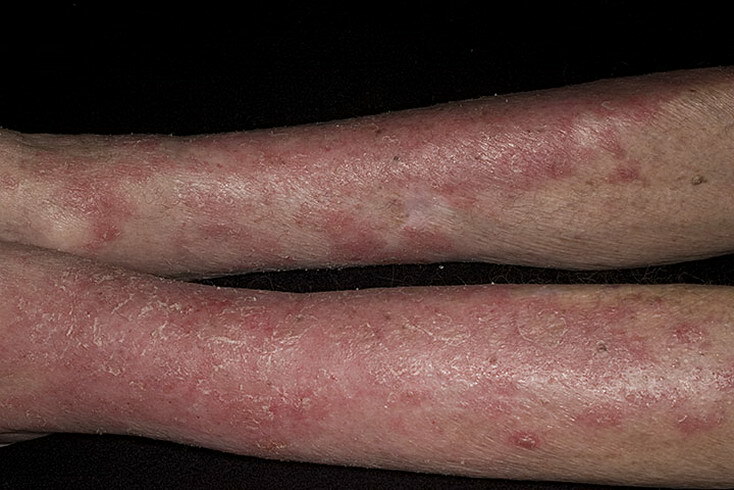 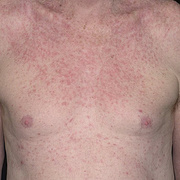 Acute dermatitis presents as red, swollen and blistered plaques. 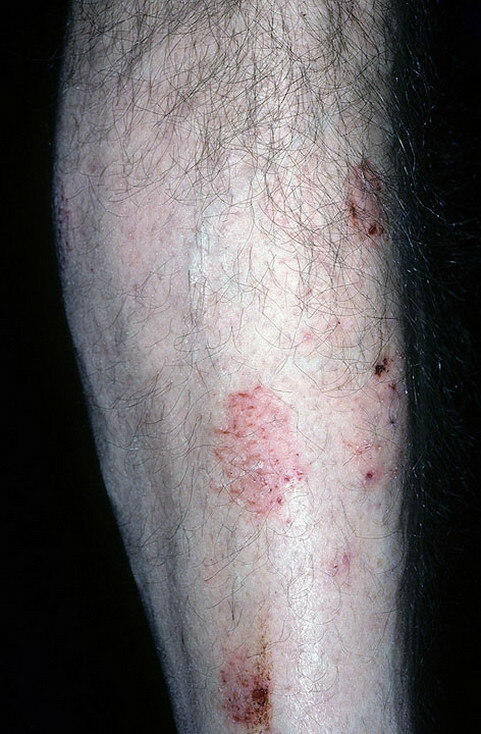 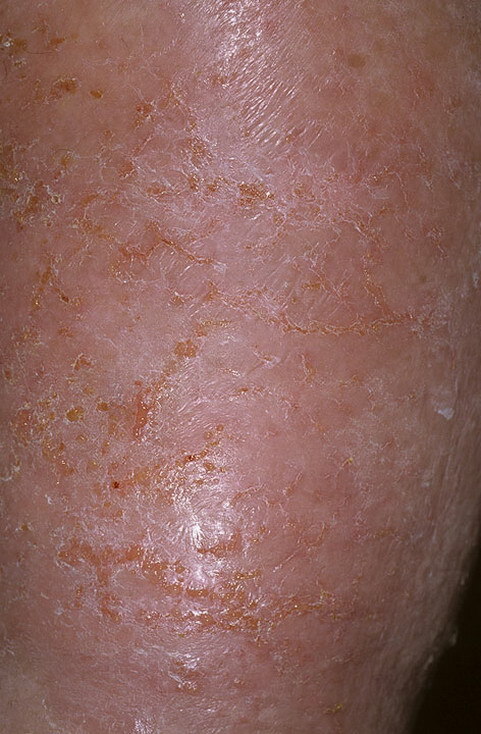 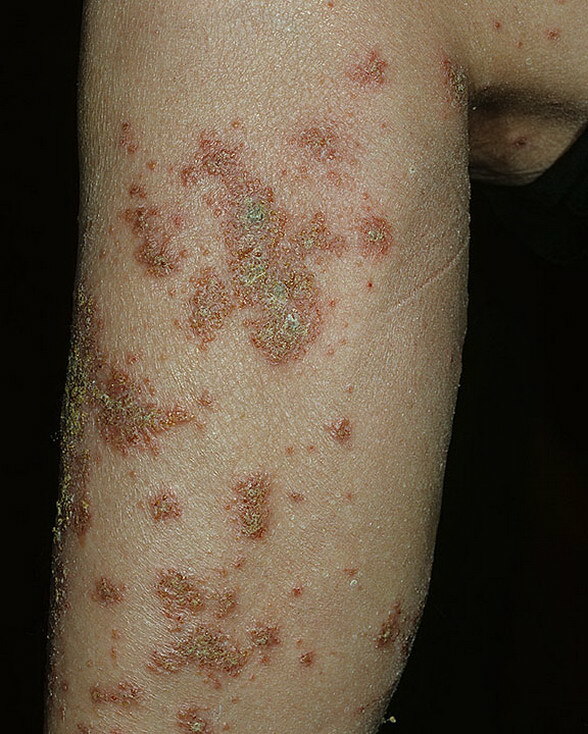 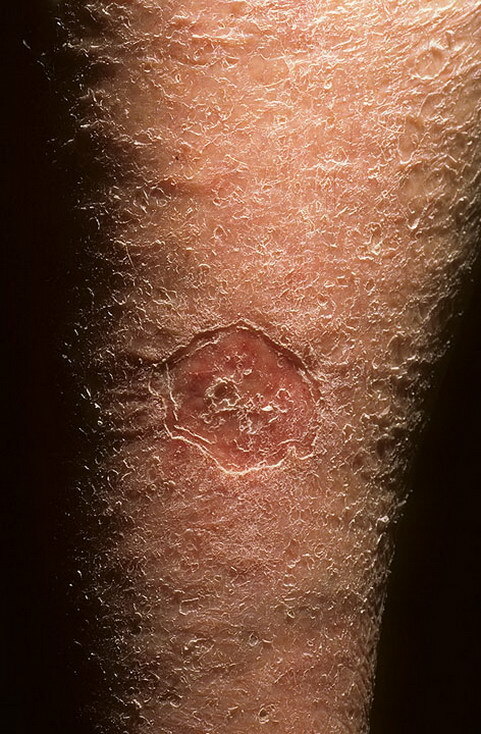 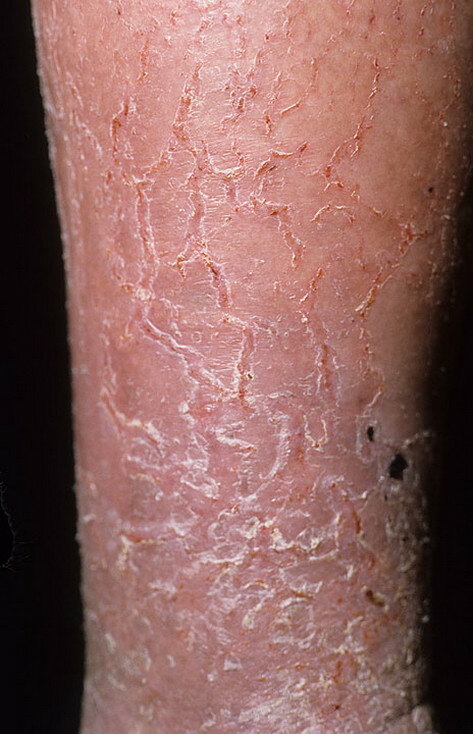 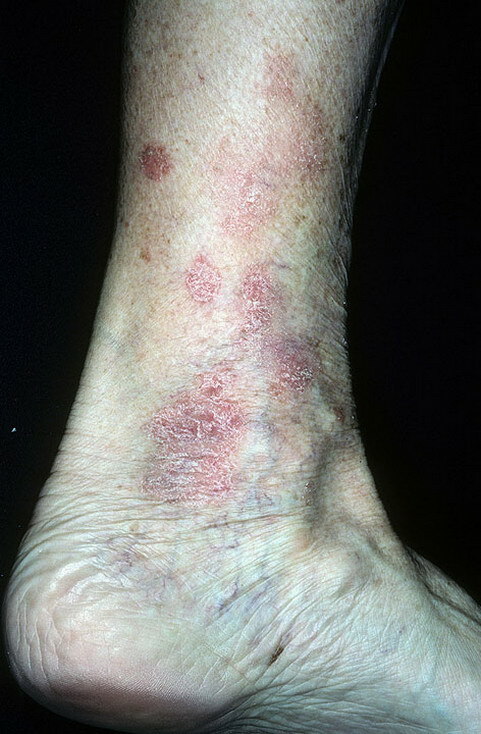 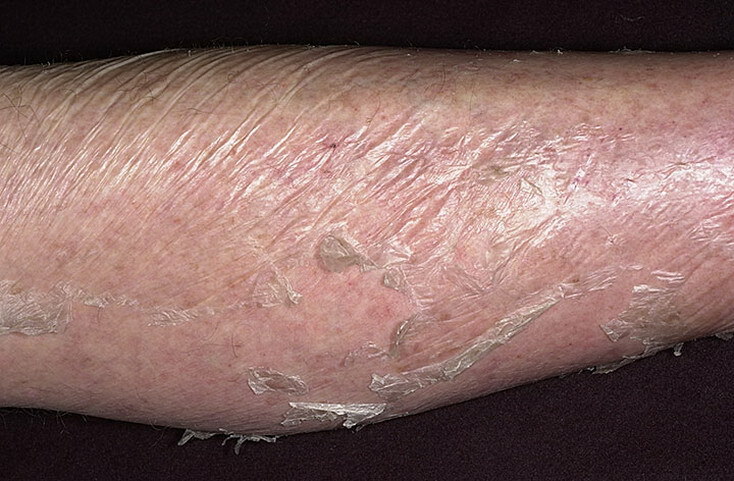 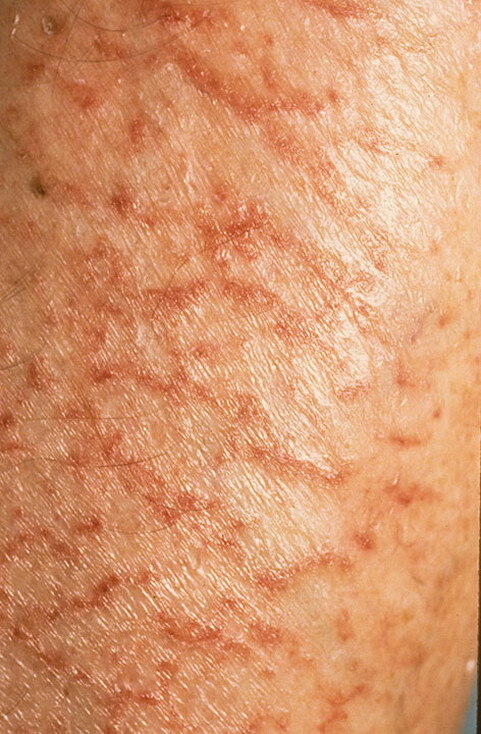 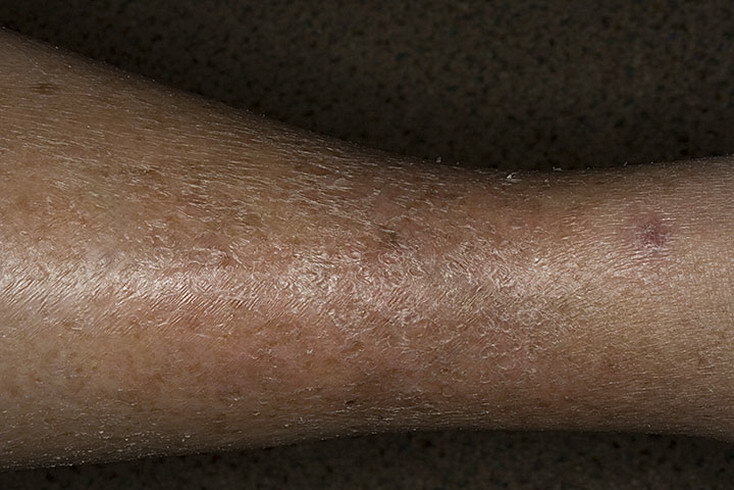 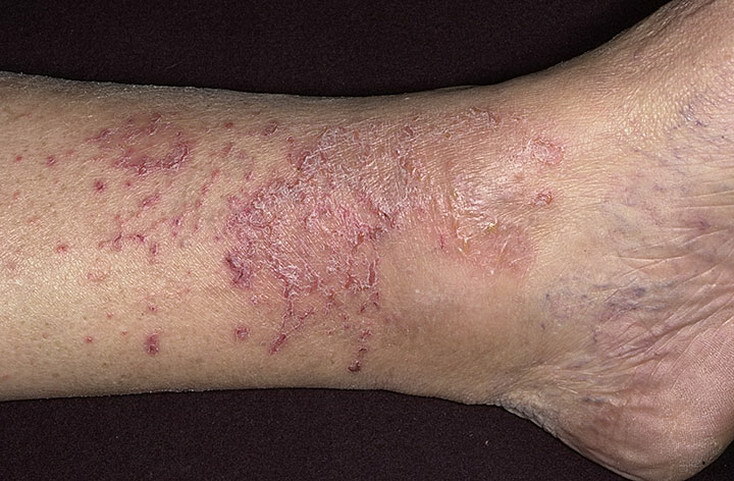 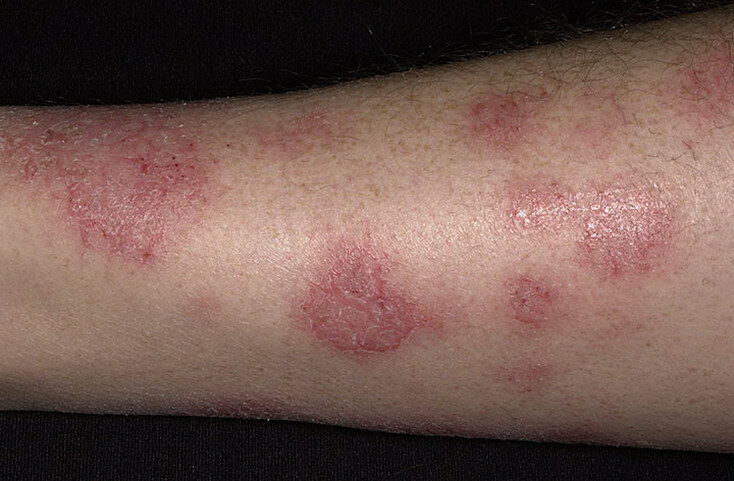 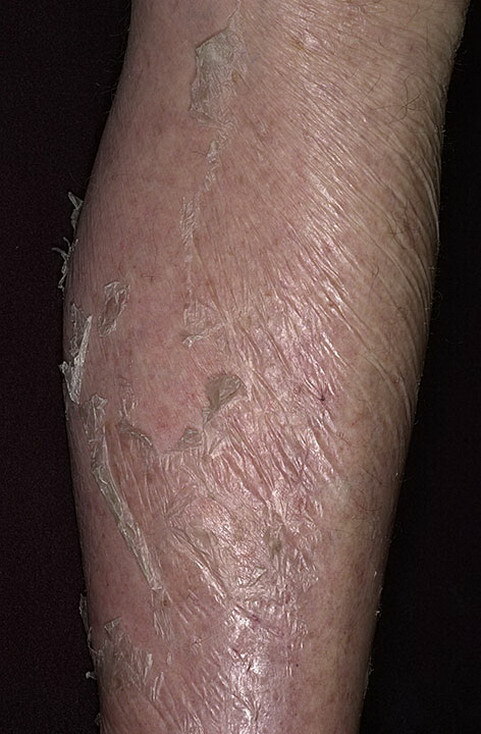 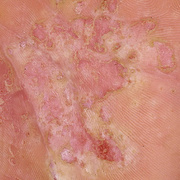 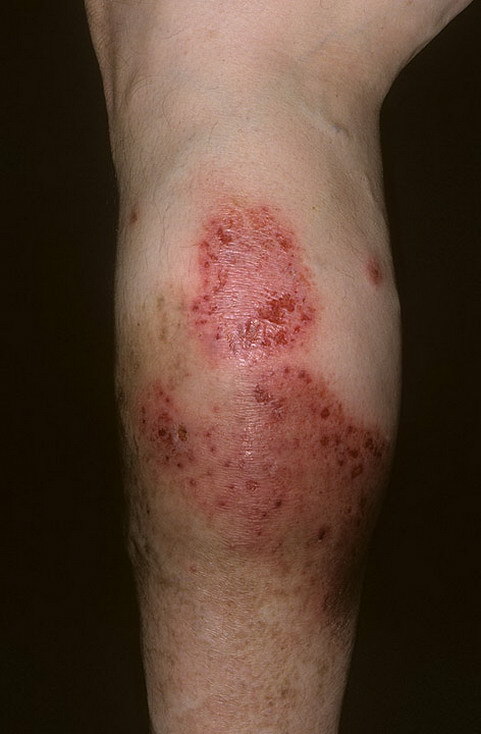 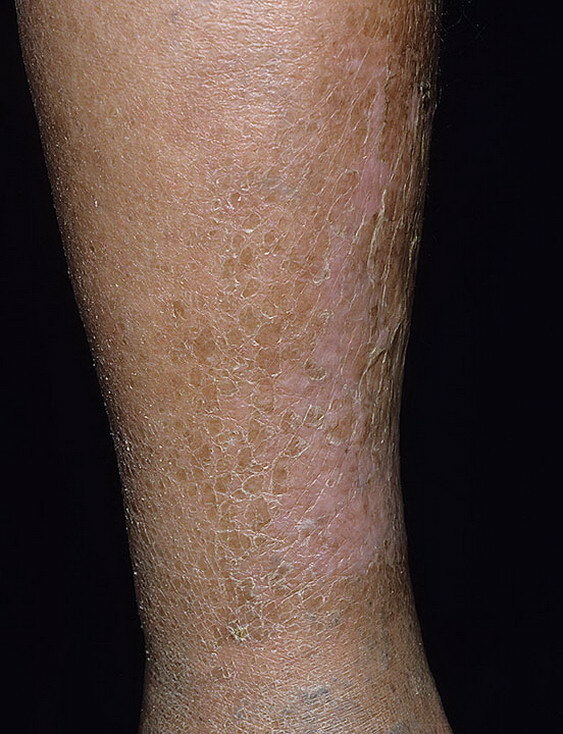 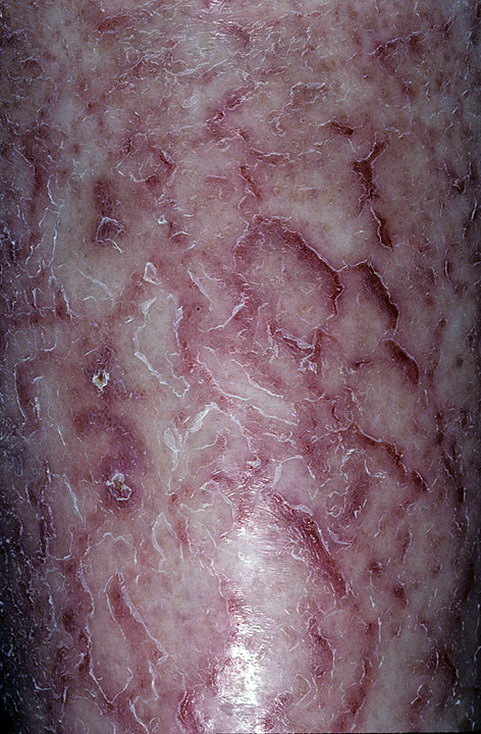 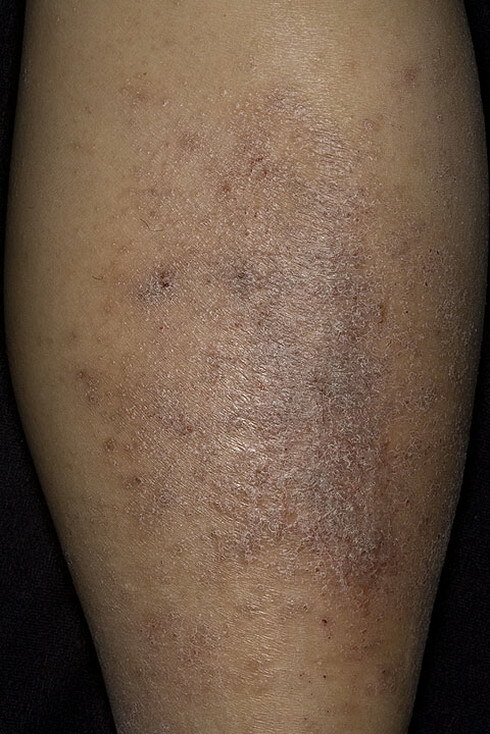 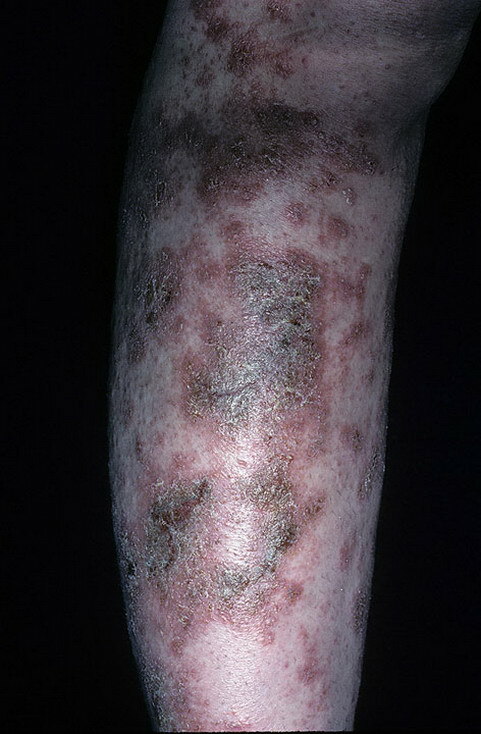 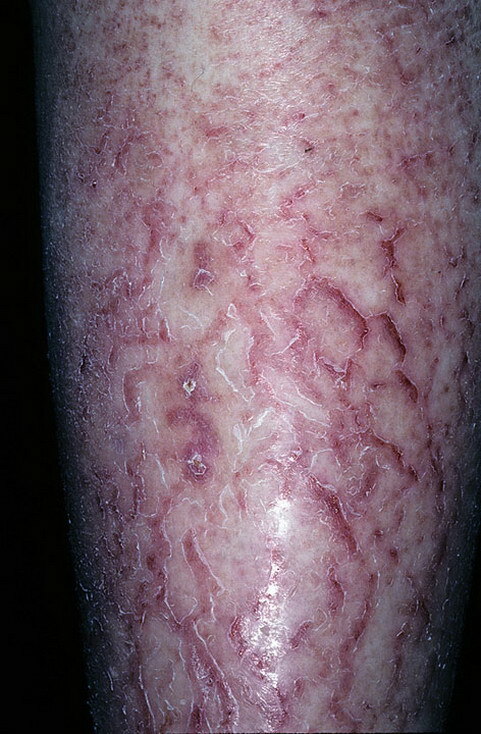 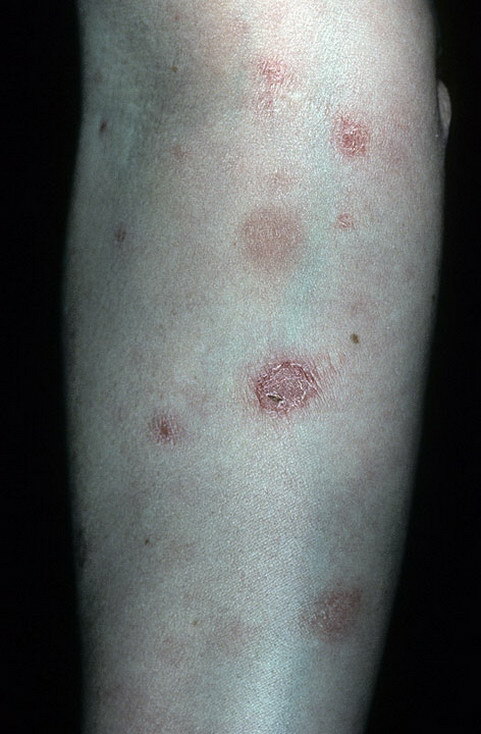 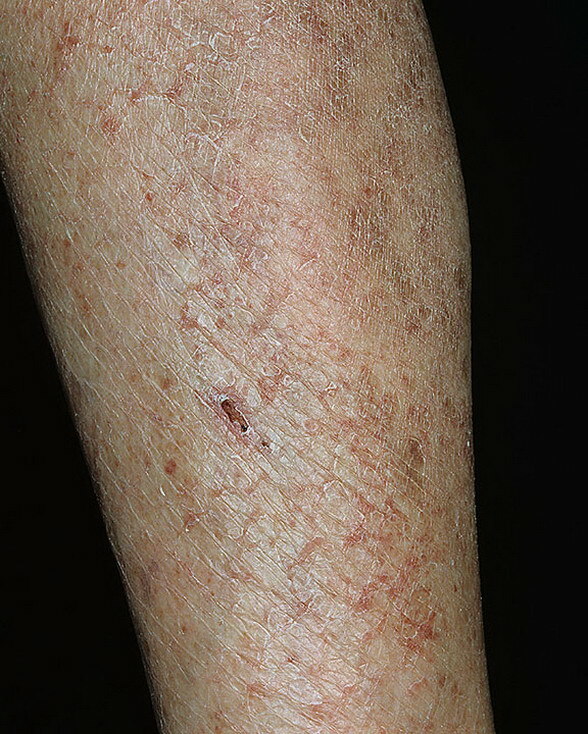 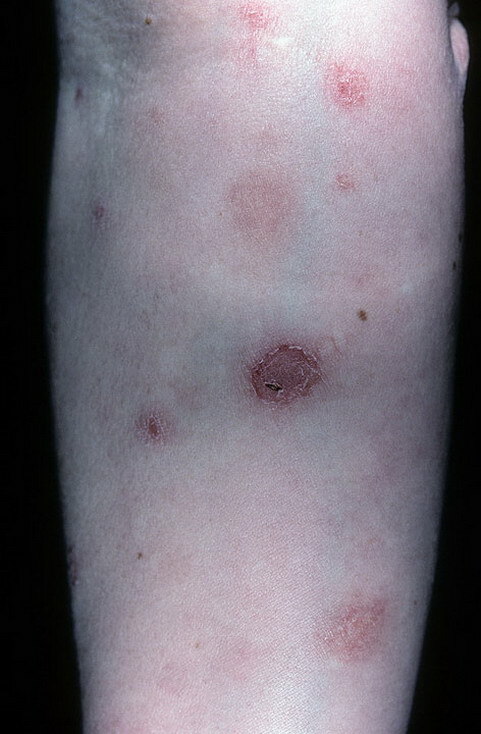 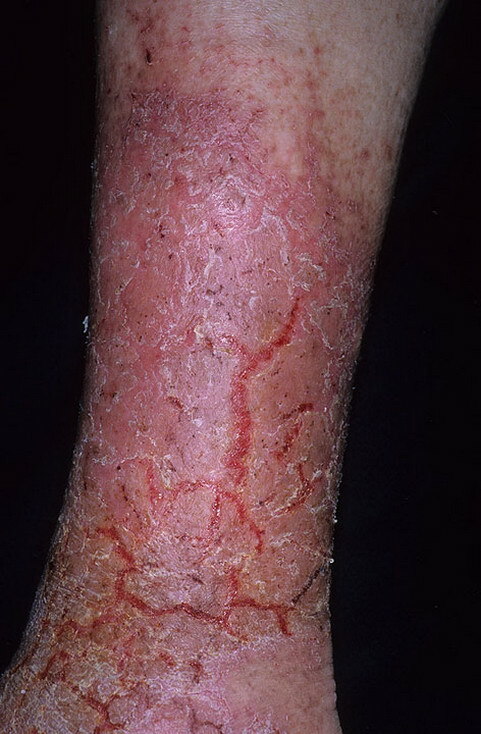 Chronic dermatitis accompanied by rubbing and scratching results in darkened (hyperpigmented), and thickened (lichenified) plaques. 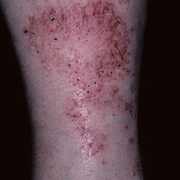 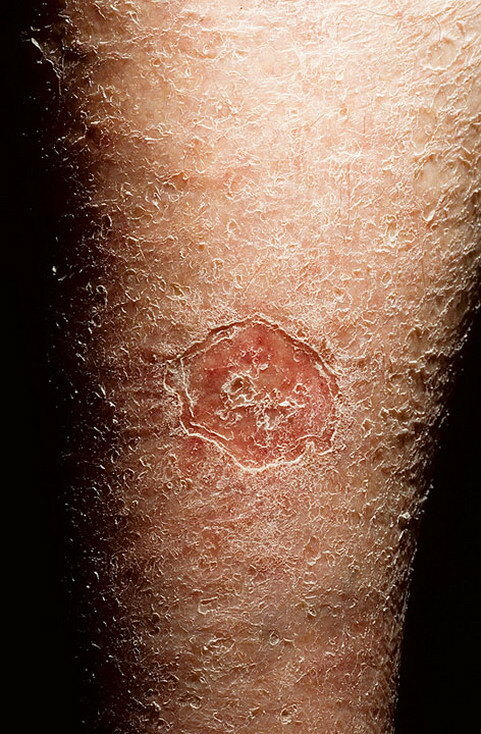 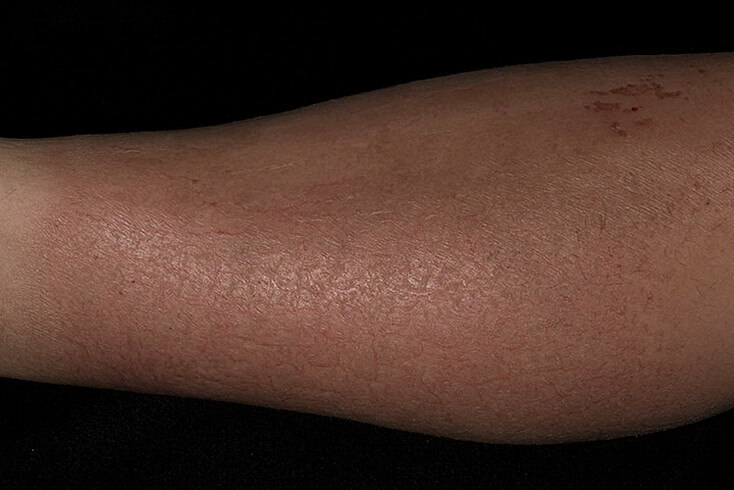 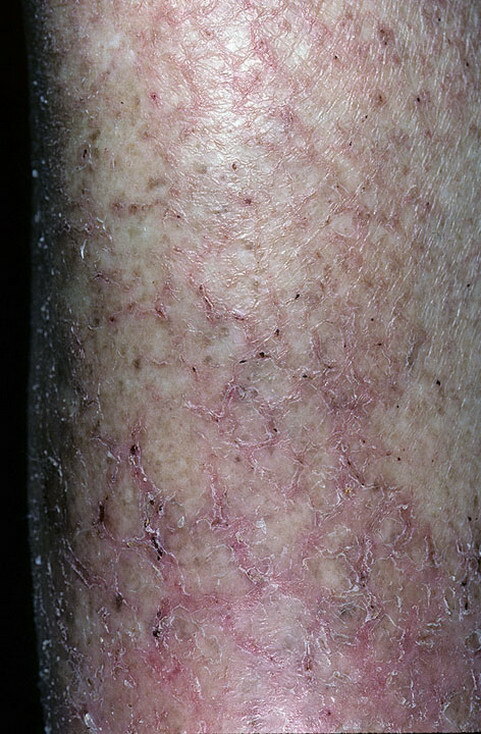 There are several different types of lower leg dermatitis, which is common at all ages. 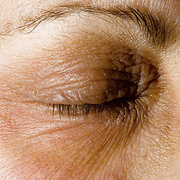 Avoid and treat dry skin, using non-soap cleansers and thick simple emollients. 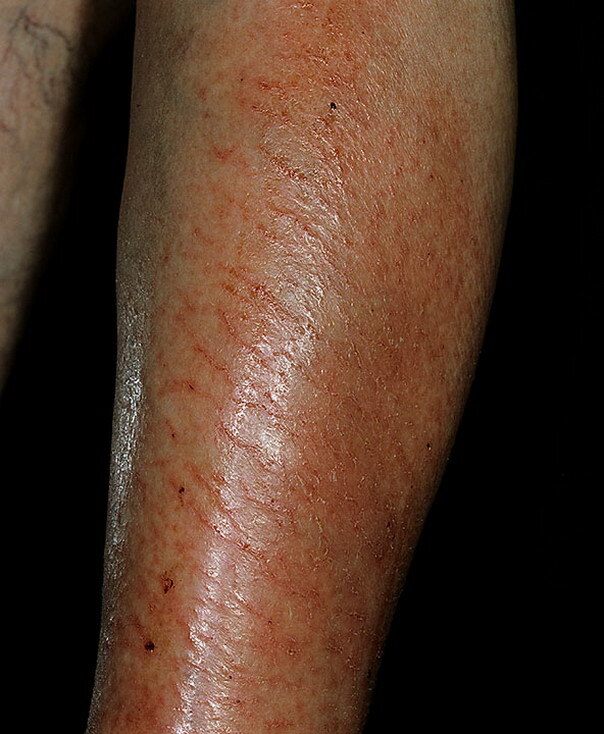 Avoid exposing the legs to direct heat or the hot air of the heater in a car. 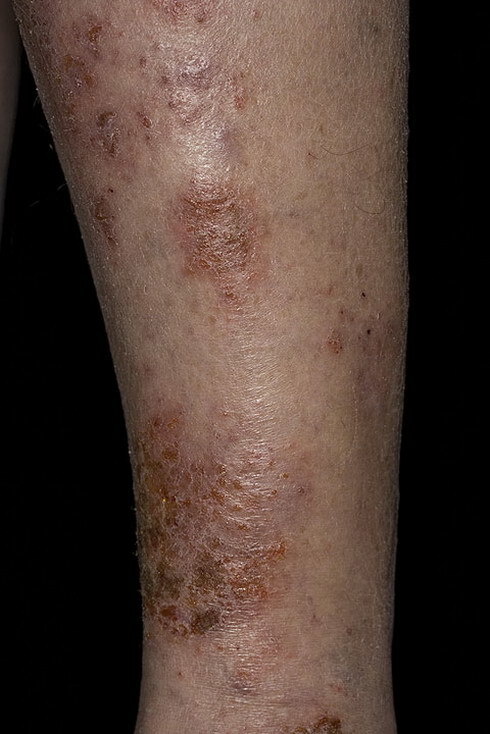 Minimise swelling – avoid standing for prolonged periods, take regular walks, elevate the feet when sitting or overnight and wear special graduated compression stockings long term. 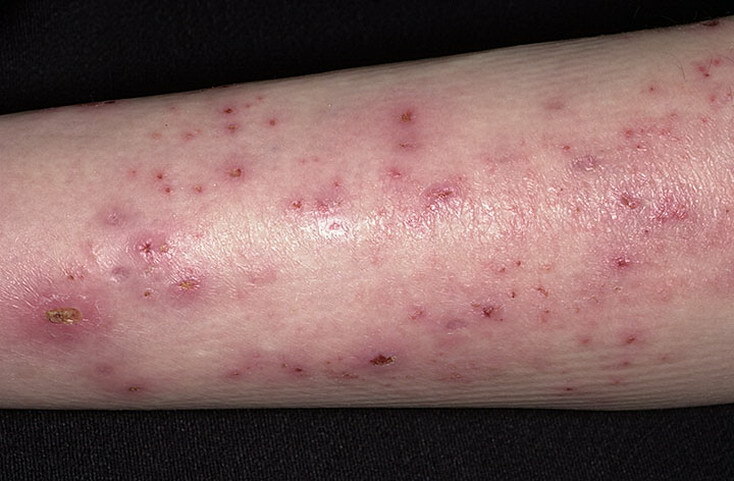 Prescription treatments may include oral antibiotics for secondary infection and topical steroids of varying potency – weak products can be used long term if necessary but potent topical steroids should be used once or twice daily for short courses of one to four weeks. 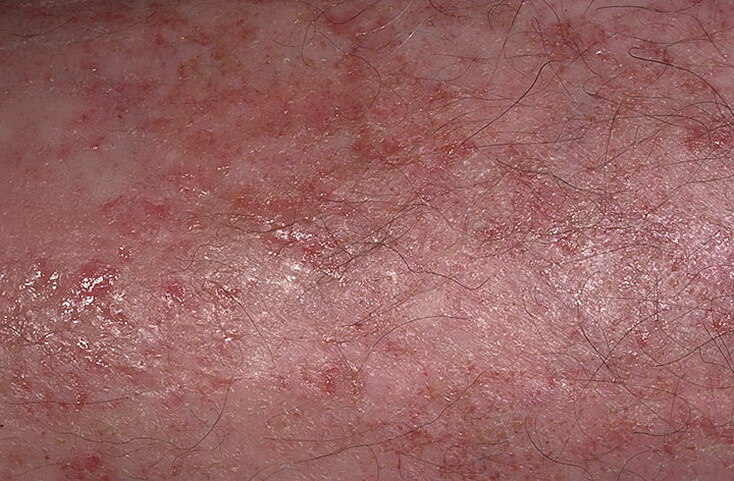 Avoid topical antibiotics, topical antihistamines and multi-ingredient fragranced or herb-containing emollients because of the risk of provoking contact allergy.